We offer a series of multi-unit telephone entry systems that have been designed to offer flexibility, performance and value to our customers. These systems easily provide tenants with instant audio communications and building access control. 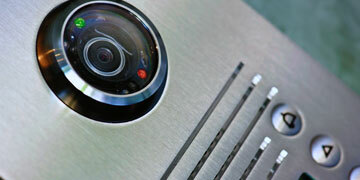 They are visitor friendly and can turn any telephone into a fully functional intercom/door entry station. Vandal resistant designs make the systems more robust than ever before. Today, more and more tenants are insisting that their building management offers a door entry system that provides the greatest possible security, privacy and convenience. Integrated intercom/phone systems for schools provide enhanced features such as paging, intercom, program distribution, clock, synchronization/correction and tone signaling, along with expanded capabilities such as homework hotline, automatic parent notification, urgent call, enhanced 911 and student phone. Developed specifically to meet the needs of educational facilities, the system links each classroom to the media center, enabling teachers to incorporate valuable media resources such as DVD players into their daily lessons. These advanced systems will also improve parent/teacher and teacher/administrative communications. Our most advanced security intercom systems provide reliable and intelligible voice communication for critical security applications, including corporate security, correctional institutions, educational facilities, military sites, hospital access points, and parking structures. Ideal for applications with multiple "sub" stations calling in to one or more "master" stations, these systems have a wide range of standard and software programmable features, including comprehensive call-forwarding to allow system operators freedom of movement and most importantly, to ensure that no calls go unanswered. The systems integrate easily with access control and video surveillance equipment for the utmost in security. Other features include telephone system integration, paging and external source distribution, event logging, and recording outputs.